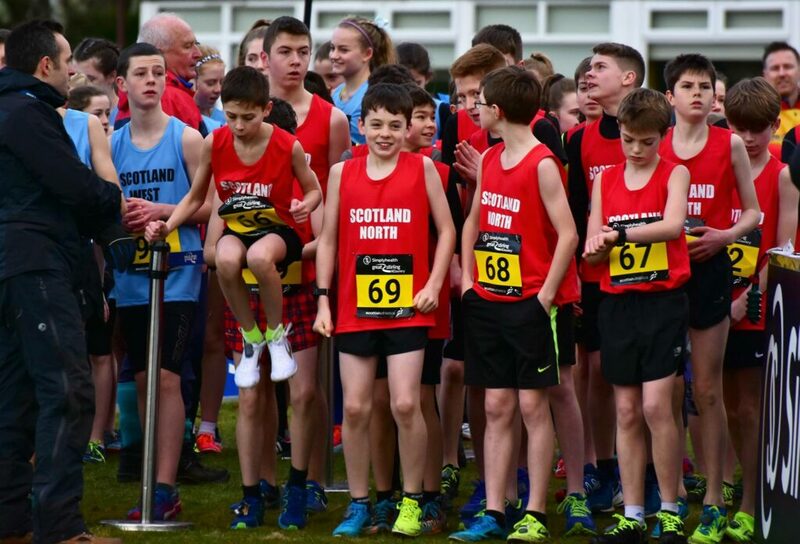 When the dust settles on the Inter-District XC Champs – and more often than not it is the mud that settles (although not so much this year) – thoughts always turn to the looming Lindsays National XC at Falkirk. We’re back at Callendar Park on Saturday 23 February and already the signs are good for some very exciting Senior races. 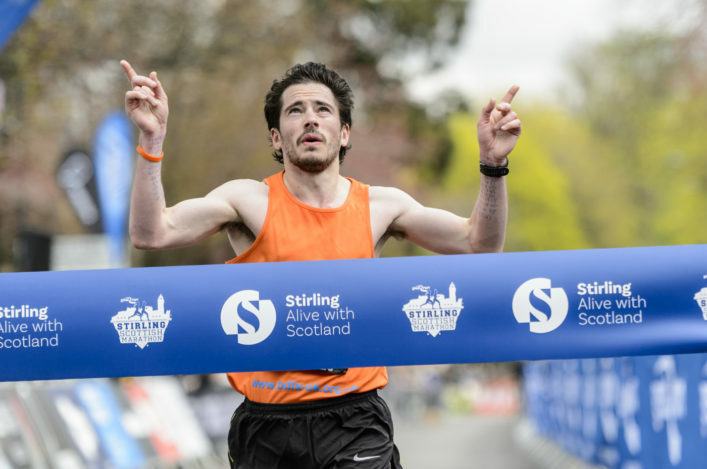 Indeed, GB internationals and defending champions Mhairi Maclennan and Kris Jones have both confirmed to scottishathletics their firm plans to return to Falkirk in a bid to replicate their 2018 victories. ‘Falkirk is definitely very much in the plans,’ said Welsh athlete Kris, who has been on the podium for Dundee Hawkhill for the past two years. Lachlan Oates, silver medallist last year and Inter-District champion at Stirling, also plans to race Falkirk. ‘A couple of years ago I would never have imagined that I would be good enough to race for GB (at U23 at the 2017 Euro Cross) and then win the National XC a couple of months later,’ said Mhairi. ‘It meant a lot to me last year and I am really keen to come back to try and defend my title. I wasn’t at Cumbernauld and Lanark towards the end of 2018, so I feel I missed some of the Scottish XC action this winter. Jamie Williamson is another GB international with Falkirk in his sights. ‘I am keen to come and run the Senior race for the first time,’ said Springburn Harriers athlete Jamie, U20 bronze medallist in 2017. Laura Muir’s commitment to racing in Scotland when her schedule allows has seen her race cross country at the likes of Bellahouston Park, Renfrew, Kirkcaldy and of course Holyrood Park in recent years. And that’s not counting a few GAA Miler Meet appearances at the Emirates Arena. Laura loves the response she receives from the athletics public in Scotland and, judging by Saturday at Stirling, the feeling is mutual. Later she spoke of hearing old school friends shouting her on during her 1.5K ‘lap of honour’ in the Mixed International Relay – before then being mobbed by youngsters for autographs and selfies. 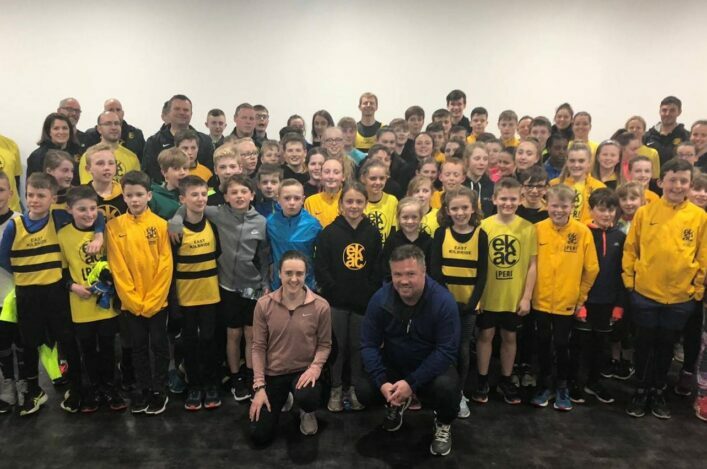 Our social media posts with the photo above (by Neil Renton) even drew a response from the President of European Athletics, Svein Arne Hansen, reminding star athletes of the need to connect with the next generation. Many other international athletes, like Andy Vernon and Garrett Heath, also posed for photographs. Role model can be an over-used description but, on the weekend Andy Murray announced plans to slip off the Scottish sporting landscape, Laura did us proud once again. It has been mentioned in dispatches across these pages over the past couple of years that there’s very much an upsurge taking place in North running. Combined training sessions as well as a couple of endurance camps are the result of better communication between clubs and coaches and more collective approach. Arguably, there was strong evidence of that at Stirling on Saturday. It kicked off in the U13 Girls when Inverness Harriers duo Anna Cairns and Grace MacDonald went 1-2 for gold and silver with the U13 Boys bronze for Roy Taylor of Moray Road Runners. Anna’s brother, Lucas, then won the U15 race and, at U17 level, Megan Keith took a silver medal, too. So that was five medallists (from 18 available) in the three age group races – before Mhairi Maclennan won the Senior title for the Scottish Students (with Mhairi of course very much having come through Inverness Harriers a few years ago). Hamish Hickey was first U20 home in the Men’s race. 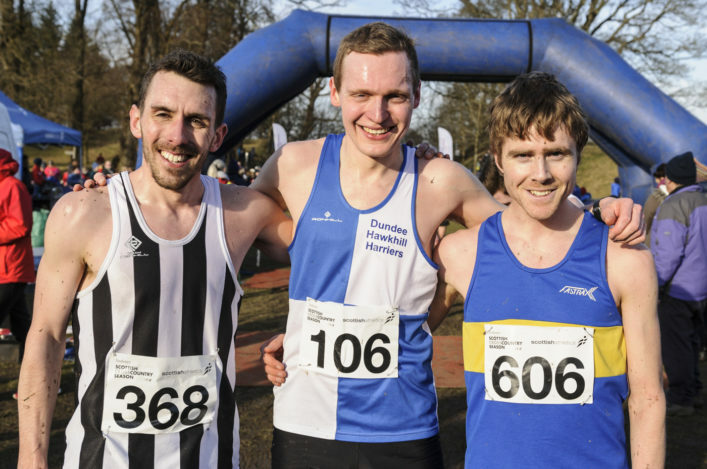 Inverness Harriers coach and journalist, Charles Bannerman, who knows these things, reckons it is the best North presence on the podium at the Inter-District XC for many a long year. 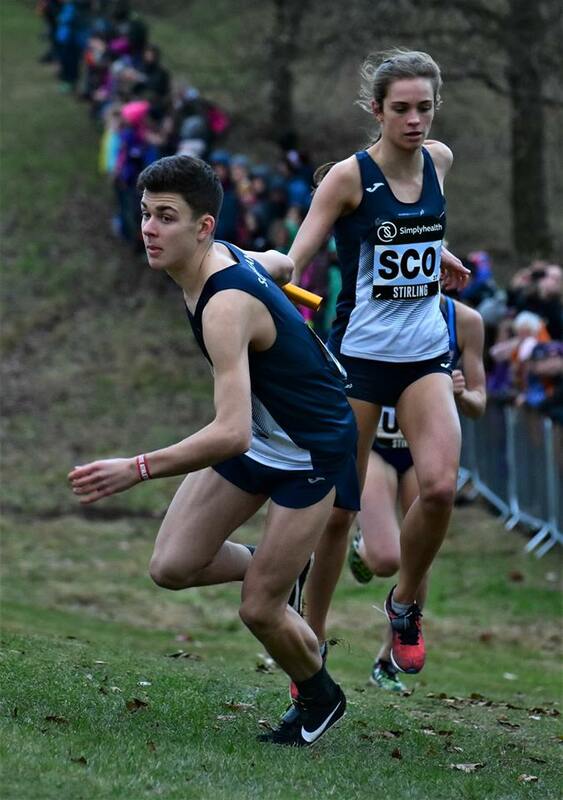 There are now 25 different athletes who have raced for Scotland in the International Mixed Relay since it first began in January 2015 as a pilot 2 x 1K race in Edinburgh. Five new names were added to the list on Saturday at Stirling – including Erin Wallace. Erin, of course, has been juggling triathlon and athletics for the past 18 months or so with her 2018 featuring two appearances in Gold Coast in triathlon plus seventh place in the World Juniors final over 1500m. The Giffnock North AC athlete has now joined the Andy Young training group in Glasgow. ‘I enjoyed working with Dudley Walker for a number of years and learned a lot,’ said Erin. 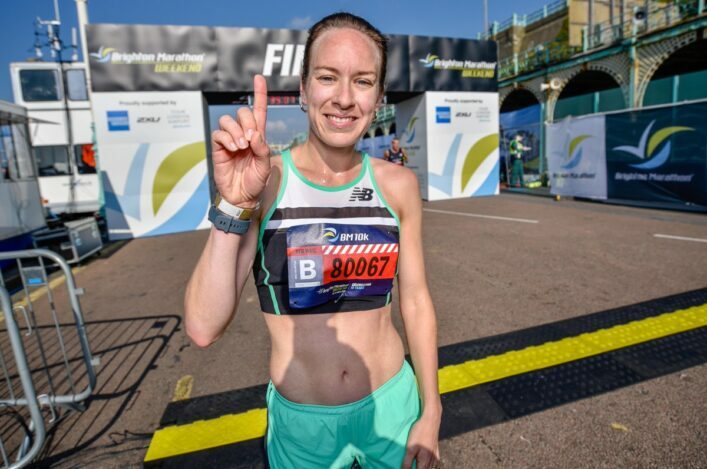 ‘Moving to Andy as coach means I’m a part of a group that includes some really top class 1500m runners – like Laura Muir, Canadian Gabriela Stafford, Jemma Reekie and Kerry MacAngus.